Size: 617 sq.ft. - 2585 sq.ft. I Love Florence Tower - the newest high-end community standing in the heart of Dubai city by Dar Al Arkan Properties at Business Bay. The tower has three-level podium which boasts a variety of world-class amenities. It is easy to find retail and dining optionswithin the residents along with the extensive canal boardwalk. The tower contains 1, 2and 3 bedroom apartments. The Florence Tower project was launched in December 2017 and now it is expected to be completed by the end of 2021. The I Love Florence Tower is 34 storeys tall presenting unparalleled views of Dubai's most dynamic areas from the residence. The apartments on the top floors get spectacular views of the sea and the dramatically lit Dubai water canal. The penthouses will have elevators that open directly into the apartments. The location of I Love Florence Tower in the forever posh Downtown Dubai, in the heart of Business Bay, captures panoramic views of the city from your balcony. The Tower Apartments Types are 1 Bedroom, 2 Bedroom and 3 bedroom rooms and Sizes varies from 617 Sq.ft to 2585 Sq.ft. 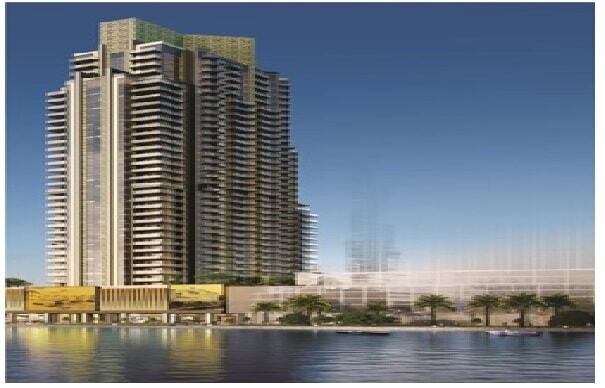 The apartment rates starts from AED 1.190 Million and goes uptoAED 4.2 Million. The Florence Tower is located in the luxury 5-star hotel corridor – JW Marriott Marquis, The Westin Dubai, the St.Regis Dubai. The Building facilities and amenities include a large swimming pool on the podium, a landscaped terrace and aquatic fountains,lobbies, a gym with the latest cutting-edge equipment, two Roberto Cavalli retail attractions inside the tower. The project also has 50 grand car parking spaces and an outdoor training area.